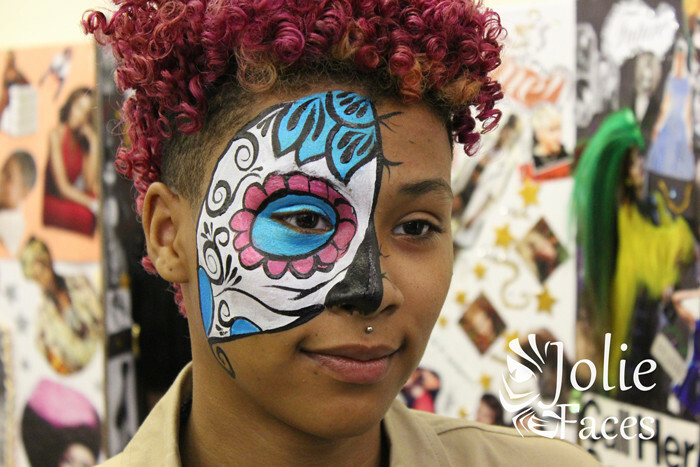 Today’s Vendor Spotlight is Jolie, of Jolie Faces. We know our readers will be stunned by her talents! 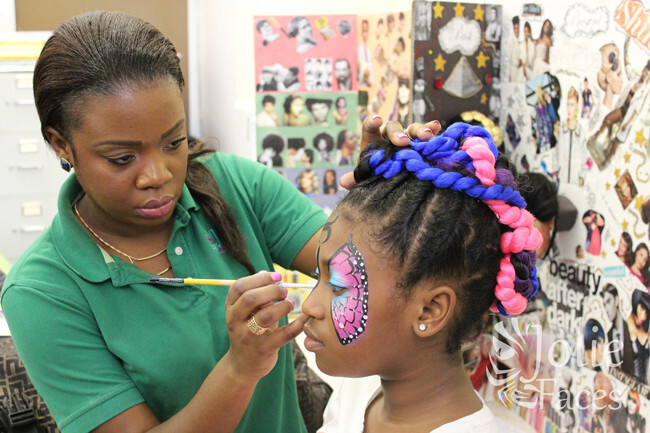 Jolie Faces, a family-friendly, professional, entertainment business started out in Silver Spring, Maryland in 2012. Since then, Jolie Faces has grown to become one of the best entertainment businesses in its area. There are no age restrictions to avail the top-notch services offered by Jolie Faces. Kids, and adults alike, delight in total transformations! Artist and Founding Director Aur’elie is well traveled and familiar with multiple cultures. She’s bilingual in English and French and has two art degrees, including a Bachelor’s in Graphic Design. Do note that you can avail the services of Jolie Faces for other types of special events. 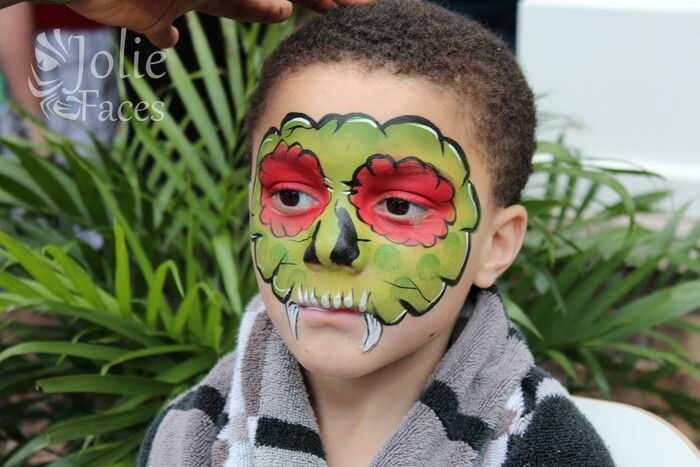 Jolie Faces will provide face painting services for all your events. 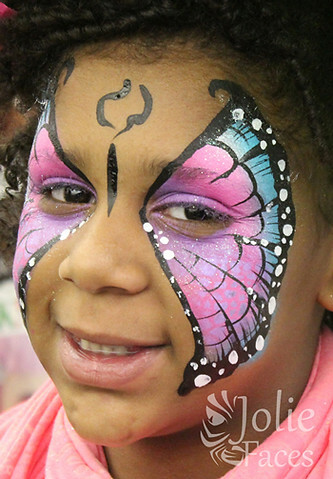 Whether it is a superhero, a tiger, or a butterfly, Jolie Faces does all types of full-face paintings. The company uses only cosmetic-grade face paints for all their artwork. 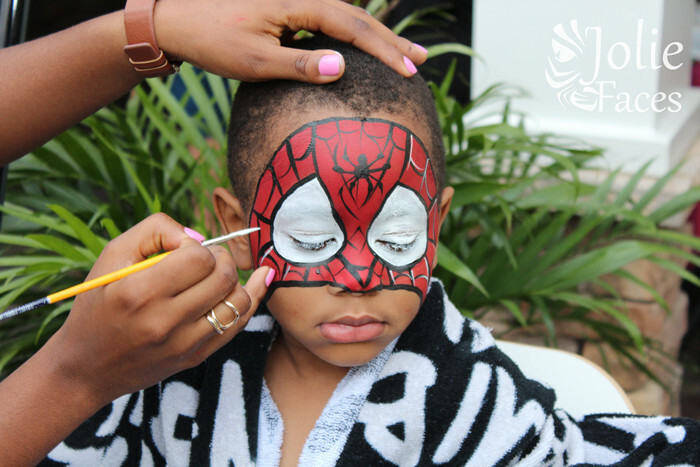 These artists are on top of their game with proper cleaning practices, as recognized in the professional Face Painting industry. 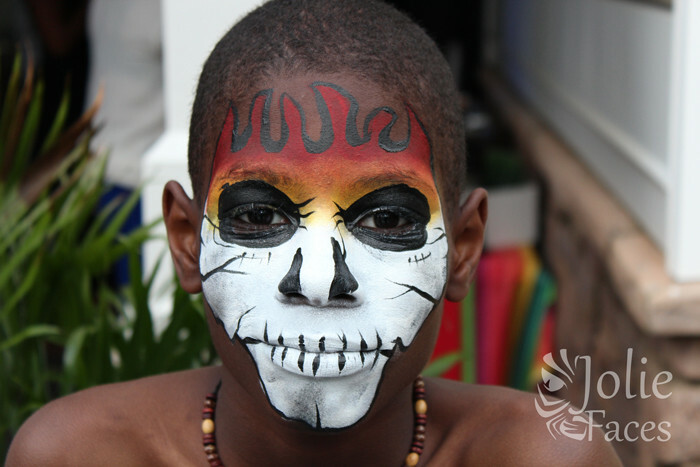 All the face paints are water-based, FDA compliant, and non-toxic. They also make your event more exciting and fun with their incredible balloon twisting skills. You have the liberty to customize the designs, so that it meets your needs and requirements. Jolie Faces also offers waterproof temporary tatts. You get removable, high-quality, glitter tattoos that you and your guests can show off for the next seven days. 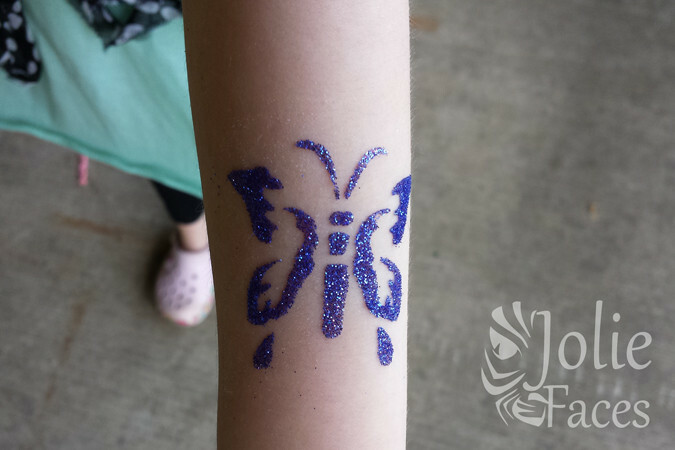 Jolie Faces also provides state-of-the-art temporary airbrush tattoos. These types of tattoos will be a smash-hit if you are having a large event, like a carnival or community festival. 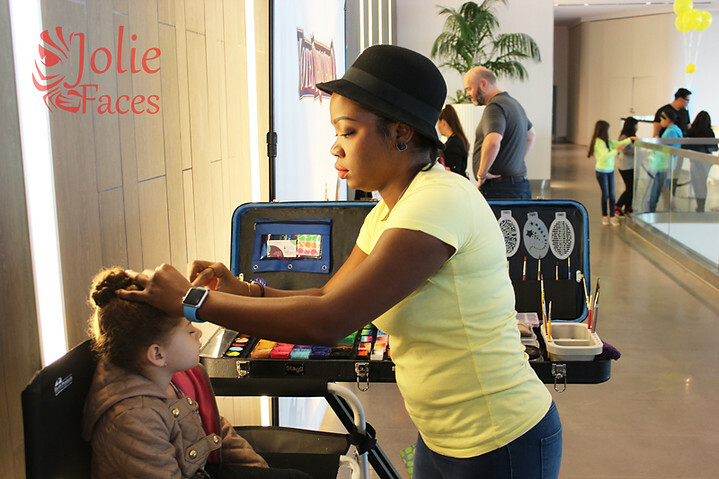 Make all the guests in your event leave with delight and happiness with the help of Jolie Faces! 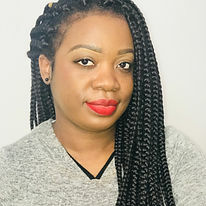 Follow this link to learn FAQs for booking Jolie’s services today. Or for booking your event, contact by email or telephone: info@joliefaces.com;(301) 660-1323. To learn more about this talented woman-owned business, follow on Facebook, Twitter, or Instagram. 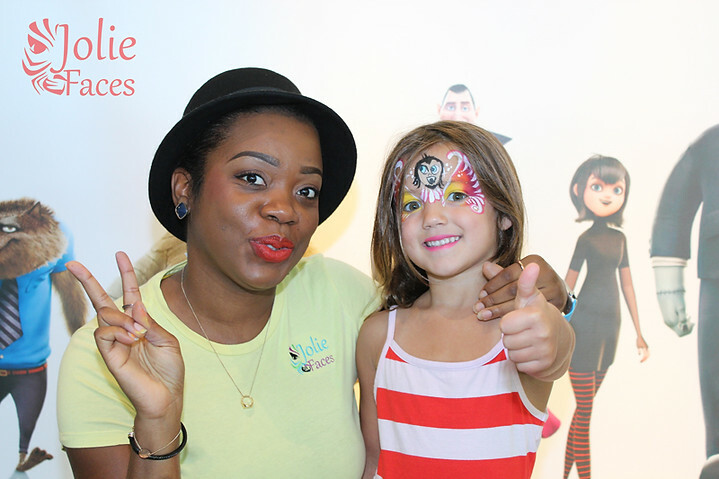 Check out the Funny Face Network to look for Caricaturists and Face Painters near you. We are a dedicated directory for artists. This article is non-sponsored.